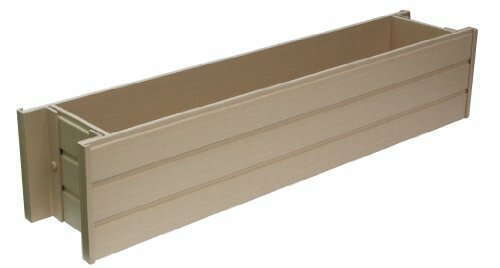 New Age Pet ecoFLEX 30" Wide Window Box. Won't warp, crack, split, twist. Durable & Water Repellant. Outlasts wood planters by at least 4 to 1; No Maintenance Required. Looks great for years. 10 Year Manufacturer Warranty!